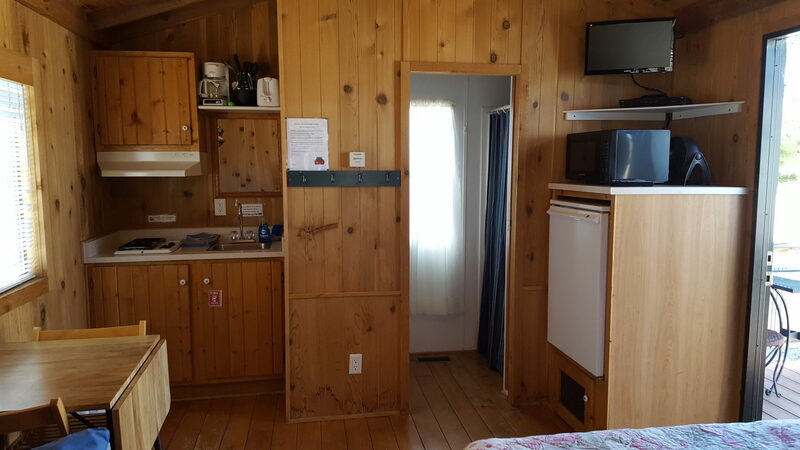 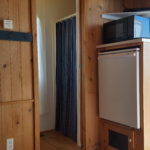 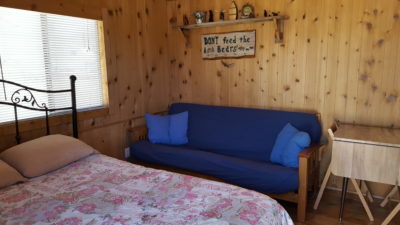 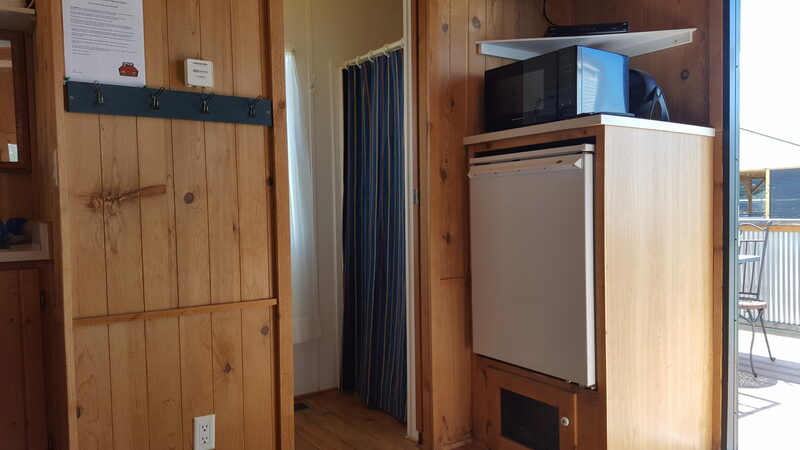 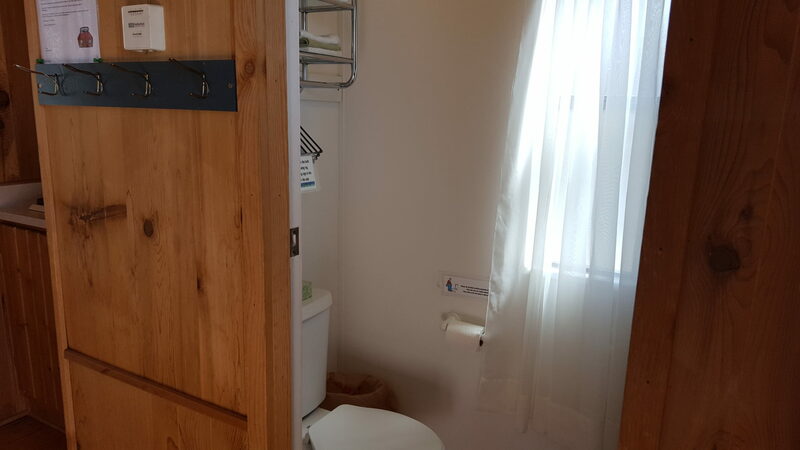 Cozy and clean, our cabins are perfect for two. 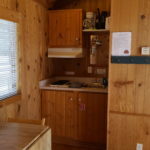 Each cabin has a queen bed, two burner stove, microwave and fridge; Private shower and toilet; Satellite TV; Bed and bath linens are provided. 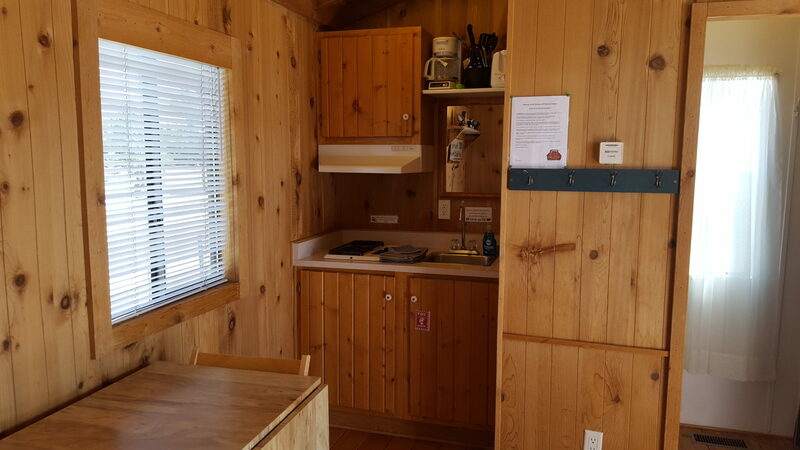 Enjoy a 360-degree view of the mountains from your porch of your cabin. 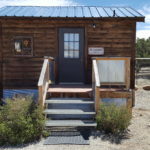 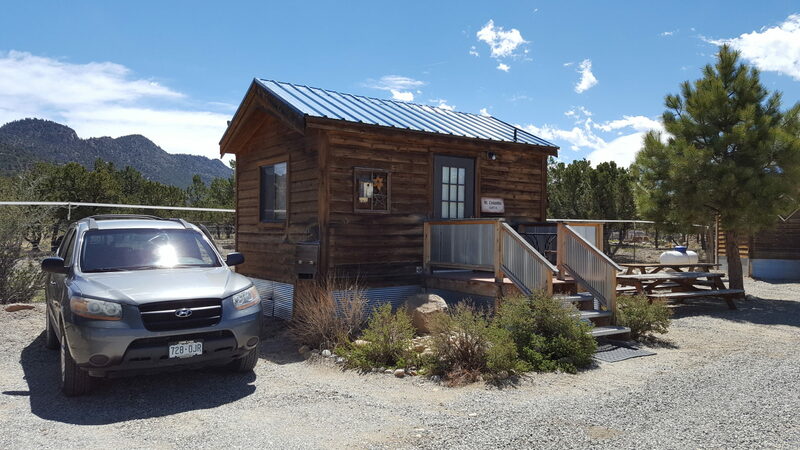 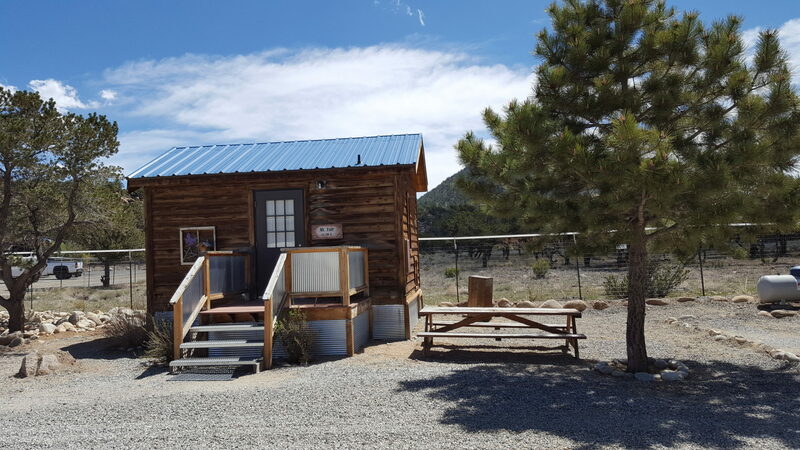 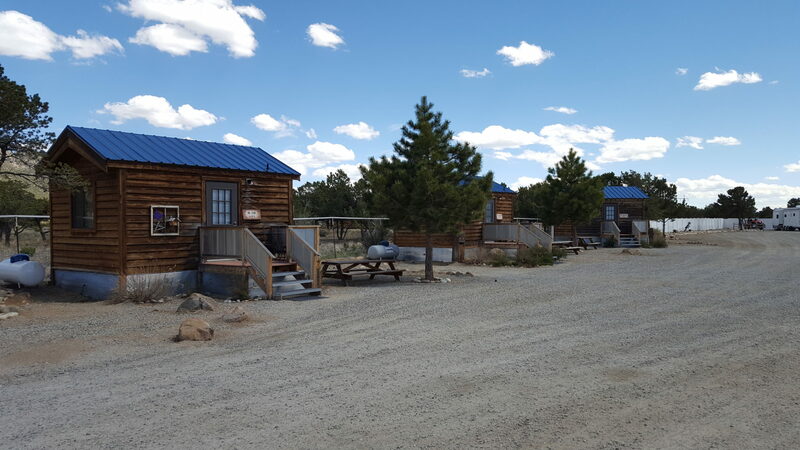 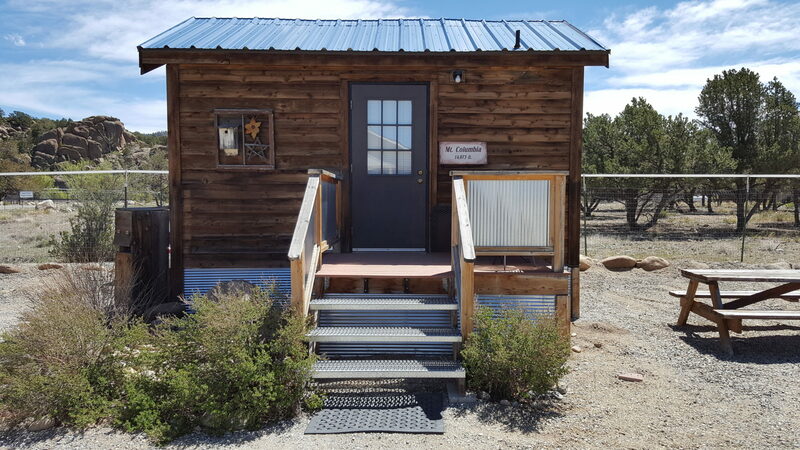 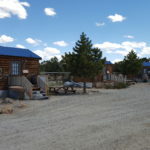 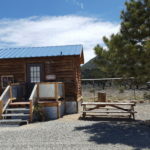 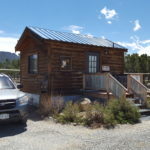 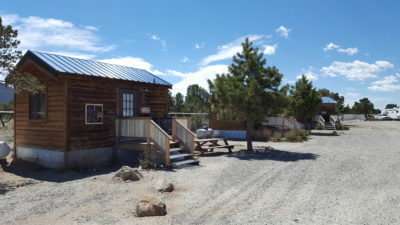 Vehicle parking and picnic tables are outside each cabin. 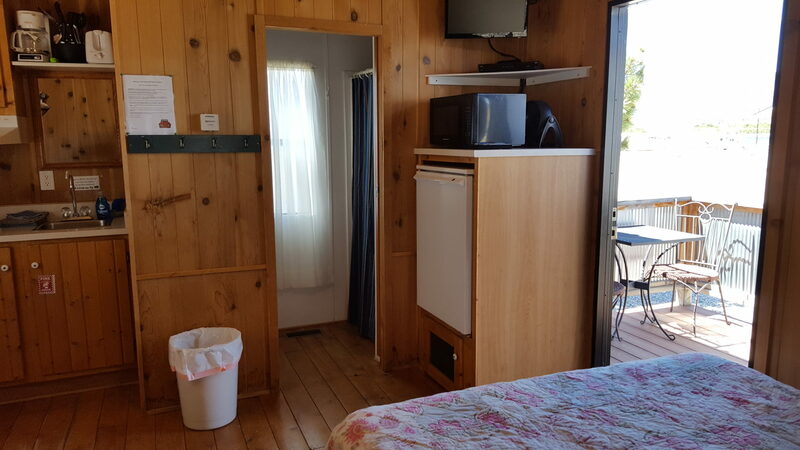 All of our cabins can hold up to 4 people. 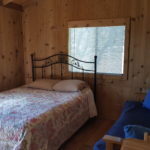 There is an extra fee of $10 per night for extra people. 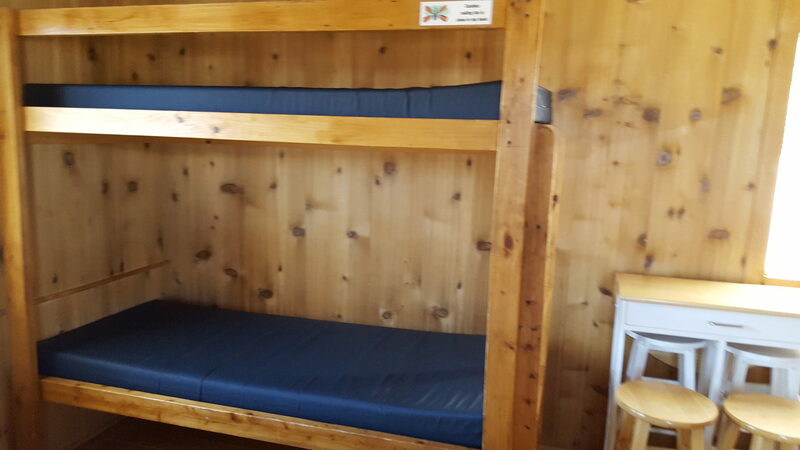 You have a choice of two configurations: a queen bed with a futon that pulls out to a full size bed OR a queen bed with a set of bunk beds. 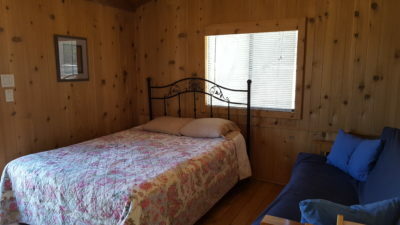 Basic price includes bed linens for the queen bed and bath linens for 2 people. 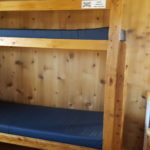 Use of second bed (futon or bunk beds) is an extra $10 a night. 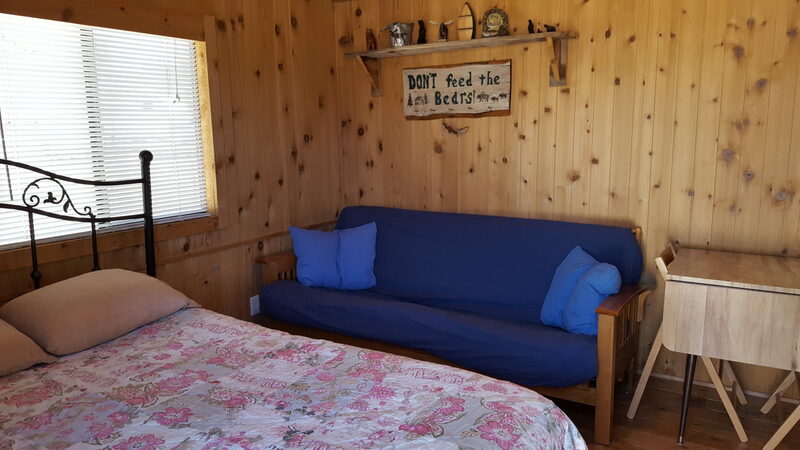 For the health and comfort of all guests, NO pets are allowed in the cabins. 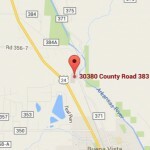 A $30 non-refundable deposit is required at the time of making a reservation. 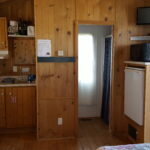 Booking deposit is applied to first night’s stay. 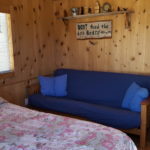 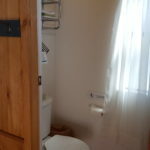 What is not included in a cabin? 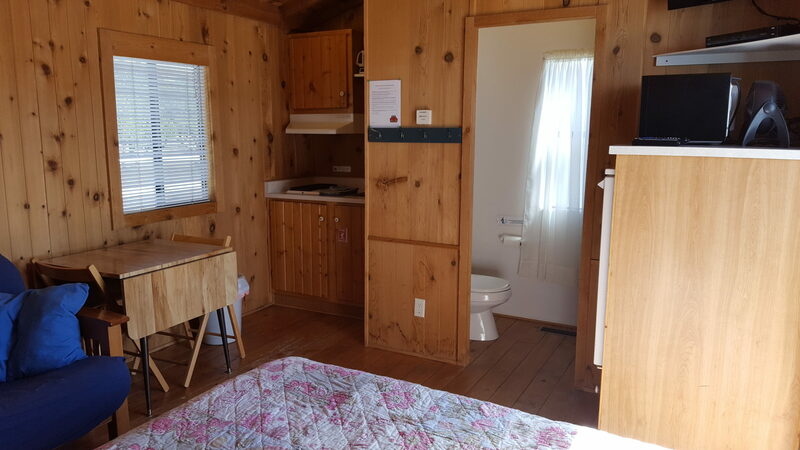 Our cabin rate is for 2 people. 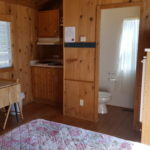 Cabins can hold up to 4 people. 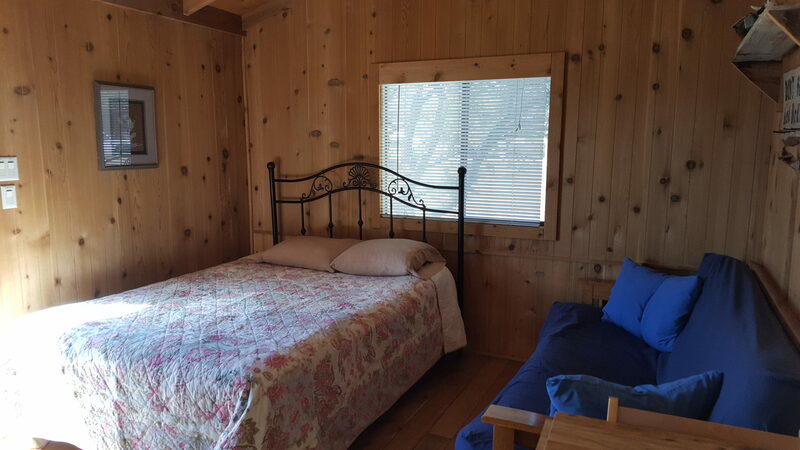 We provide bed and bath linens for all people staying. 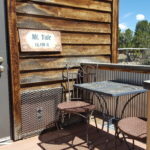 * Save 5% on stays of 4 night or more. 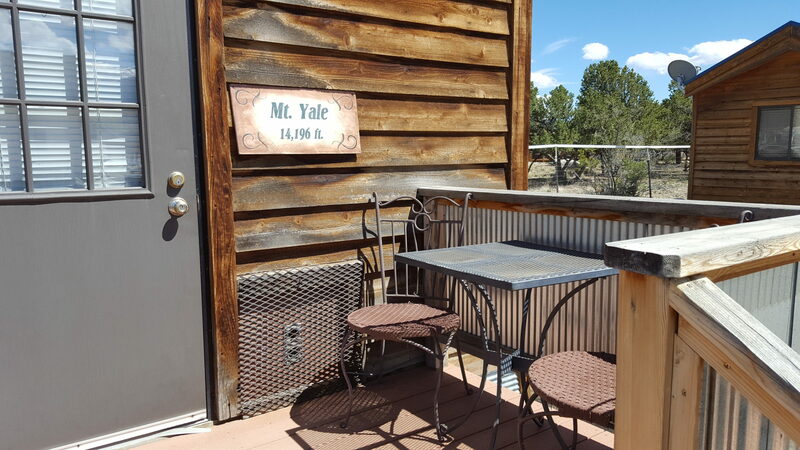 We take a deposit when you make a reservation, If you cancel for any reason after you make your reservation, you forfeit your deposit. 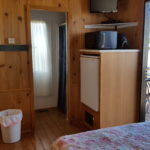 If you cancel your reservation less than 7 days before your arrival, you will be charged for one night.